The Politics of Memoir and the Northern Ireland Conflict examines memoir-writing by many of the key political actors in the Northern Irish ‘Troubles’ (1969–1998), and argues that memoir has been a neglected dimension of the study of the legacies of the violent conflict. Stephen Hoptkins investigates these sources in the context of ongoing disputes over how to interpret Northern Ireland’s recent past. A careful reading of these memoirs can provide insights into the lived experience and retrospective judgments of some of the main protagonists of the conflict. The “Troubles” in Northern Ireland must be one of the most studied conflicts in the western world. The nature of the conflict, its genesis, its prosecution and outcomes, the actors involved and the private and collective wounds left by no less than four decades of violence have been largely investigated. Yet, very little attention has been paid so far to the recent outburst of memoirs and autobiographical chronicles produced by protagonists who have played more or less prominent roles but who were all once engaged and immerged in the harsh and violent realities of a deeply politicised and polarised society. Distortion, rewriting and political instrumentalisation are certainly key aspects to keep in mind when reading political memoirs. No doubt that the genre of autobiography is a complex one and should be approached with precaution. 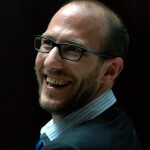 In his book, The politics of Memoirs and the Northern Ireland Conflict, Stephen Hopkins, lecturer in Politics in the Department of Politics and International Relations at the University of Leicester, rises to the challenge. Despite perhaps a commonly accepted scepticism about recollection in itself and by extension about the reliability of memoirs, Hopkins aptly recalls that the political purpose of these recollections is still a critical issue to be examined. Furthermore, and even if one could always downplay the significance of political memoir, there is still very often a paucity of reliable documentary evidence to work with. 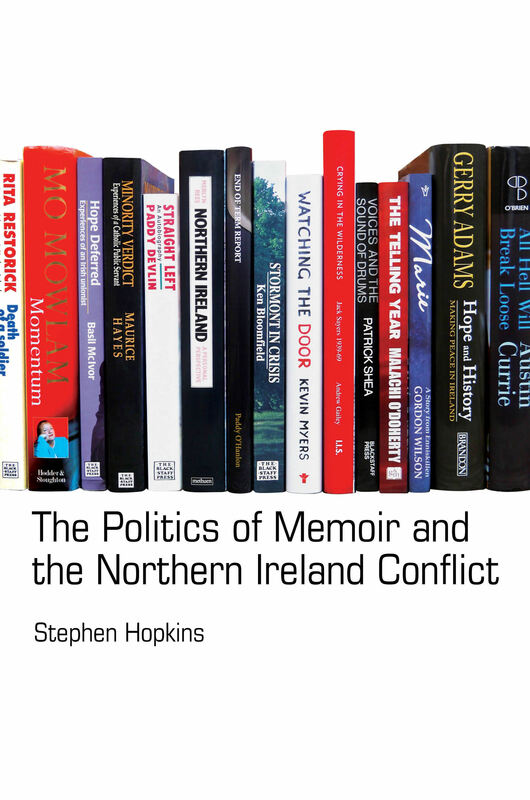 In 252 pages and 10 chapters, Hopkins examines in detail the political memoirs written by some of the many individuals who were engaged in or affected by the conflict in Northern Ireland in the period 1969-1998. The first three chapters are dedicated to the memoirs of ex-paramilitaries – republicans, republican dissidents and loyalists (chapter Two to Four). In the following chapters (chapters Five to eight), Hopkins details memoirs of northern Irish and British politicians. Chapter Nine is devoted to the memoirs of journalists who have covered the Troubles and Chapter Ten to the publications of victims or survivors of the violence. Throughout his monograph, Hopkins carefully investigates the narratives and storytelling one can found in these memoirs. The emphasis on self-sacrifice, revolutionary discipline among republican memoirs is remarkable. Remarkable but, as Hopkins suggests, in tune with the long legacy of republicanism in Ireland and its everlasting attempt to conflate individuals’ lives with the story of the nation, providing as such a strong countervailing discourse to the ones criminalising the movement. Settling old scores, recalling internal disputes, competing on the meaning of the fight, perpetuating mythologised understanding of the cause, bringing some coherence into one’s life or promoting individual’s place in the political history of Northern Ireland, every single autobiography analysed in the present monograph contributes to the variety of positions and post-factum self-justifications one could found in such a complex conflict. There are no incontrovertible truths in these memoirs and Stephen Hopkins makes this point very clearly. They are historical (and sociological) sources for anyone concerned with the contemporary history of Northern-Ireland. By examining carefully the different narratives involved in the writing of such books, Hopkins highlights very well not only the pervasive power of group identities but also the logics of control of the political narrative. His take on memoirs of dissenting Republicans (chapter 3) is crucial for anyone who would like to get a better understanding of those who are still hostile to the concessions, the ‘Peace Process’ and to a more mainstream Northern Republicanism. The politics of Memoirs and the Northern Ireland Conflict demonstrates in a cogent manner how individuals and groups continue to wage the battles of the past in the present. Paper has replaced the bullets and the cobbles of the streets of Belfast but it does not mean that it is less violent or less traumatic. If The politics of Memoirs and the Northern Ireland Conflict is an engaging and well written research monograph, it is not a book for novice in Irish contemporary studies. It requires some prior knowledge of the conflict, its dynamics and actors. Furthermore, Hopkins does not analyse memoirs written by former members of the police or security forces. But these are minor irritants in a particularly meticulously detailed book. Stephen Hopkins definitively provides serious and convincing insights into not only the political function of these memoirs but also, and perhaps more importantly, into today’s barely healed Northern Irish divided society. This book is a timely reminder that the hard work of building peace in Northern Ireland has only just begun.